The last big update before the official launch of Albion Online brings major changes and improvements into the game. One of the most interesting features of the "Hector" update will be the Black Market. Robin Henkys, Game Director of the Sandbox MMORPG, explains in a new video the mechanics of this system, which will lead to future PvE opponents dropping only objects originally made by players. 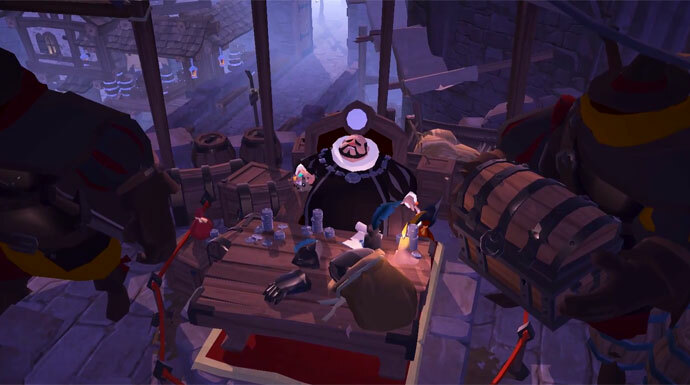 The Black Market merchant is a new NPC who buys items from players and distributes them on dark channels to the various factions, mobs and chests alike in the world of Albion. These, in turn, drop these items for the players as soon as they are defeated or found. The Black Market merchant is located in Caerleon, the capital of the Royal Continent. How Does Black Market Trader Buy Items? The black market is not a traditional NPC merchant because it has no fixed prices and no boundless demand for items. Whenever a monster is killed, for example, there is a chance that a purchase request will be placed on the Black Market. If a certain number of such active purchase requests exist, the price of the Black Market for the item increases. Thus, everything that happens on the black market is directly linked to the actions of players in the world. 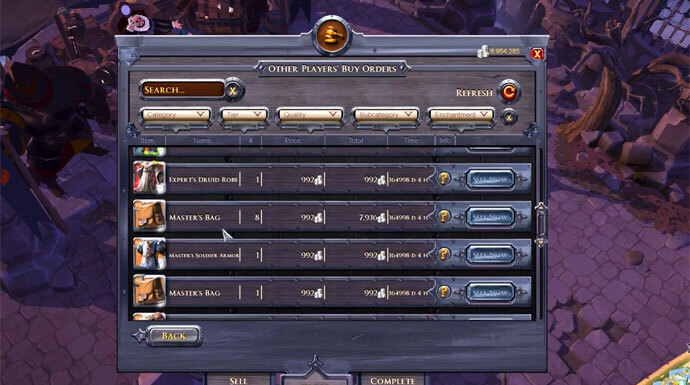 If a killed monster drops a specific item, the system searches the stock on the Black Market. If the item already exists, the mob drops it and it is removed again. If it is not in stock, a corresponding order is generated and finally the purchase price increases. In Albion Online, PvP battles regularly cause gear to be destroyed. This mainly concerns objects of higher tier. This, in turn, results in low-tier equipment accumulating in large amounts in the game's economic system. To remedy this and create a genuine lower tier sink, the Black Market trader will "lose" a certain percentage of items. Thus, a constant demand is generated for low-tier objects, some of which are "lost". • In general, the implementation of the Black Market will drop more items. So far, this has rarely been the case since the developers did not want to influence the player-controlled economic system. With the Black Market, this system regulates itself without the role of the players as a craftsman is lowered. • Furthermore, Essences are now obsolete in the refinement of materials and objects. The essences were originally an artificial tool to associate the PvE activities of the players with the making of objects. This role is now played by the Black Market in a much more natural way. However, Essences will not disappear completely from the game, since they are still needed for crafting Runes. In the future, however, they are intended to serve a different purpose. 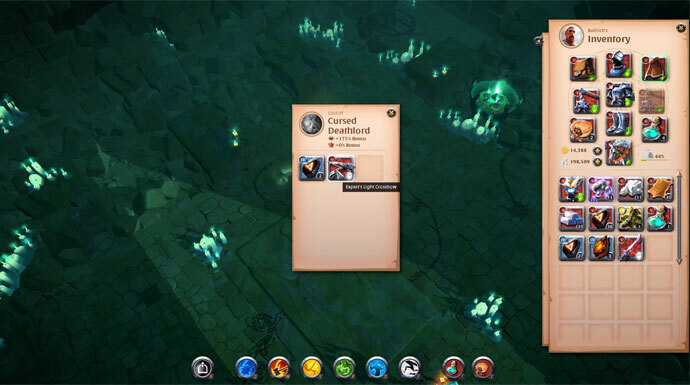 • And finally, already refined resources are no longer dropped by PvE mobs and chests. They are replaced by items crafted by players. In general, the Black Market and the changes that come with it ensure that now increasingly cool PvE rewards will be available. However, this does not represent competition for gathering, refining and crafting, but complements these aspects. The Black Market will be implemented with the "Hector" update on 7 June 2017. All the details about the upcoming Black Market are available here!